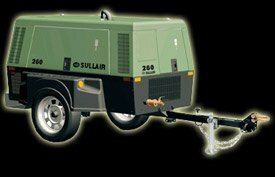 SULLAIR AIR COMPRESSOR – it shutdown when we open the outlet air line? I start on the engine it run fine but when we press the button of the compressor it shutdown when we open the outlet air line from the compressor . Check the sensor on hydraulic tank. The sensor on the hydraulic tank is bad. 185 Sullair portable engine shutting down? That being the case, then obviously, the thermal cut out is shutting off the engine to prevent damage due to overheating. The system is showing you an engine overheat situation, so I would look to the oil levels and I would make sure the coolant is topped up. Same problem with engine shutting down after 6 to 10 minutes of running. Will not start until several hours and then start up and run about 6 to 10 minutes. I was told it could be the fuel return line could be blocked and creating the problem.